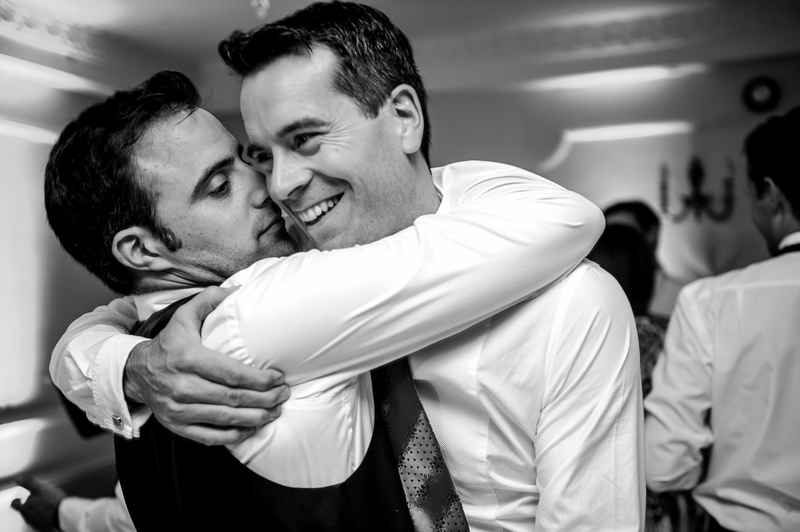 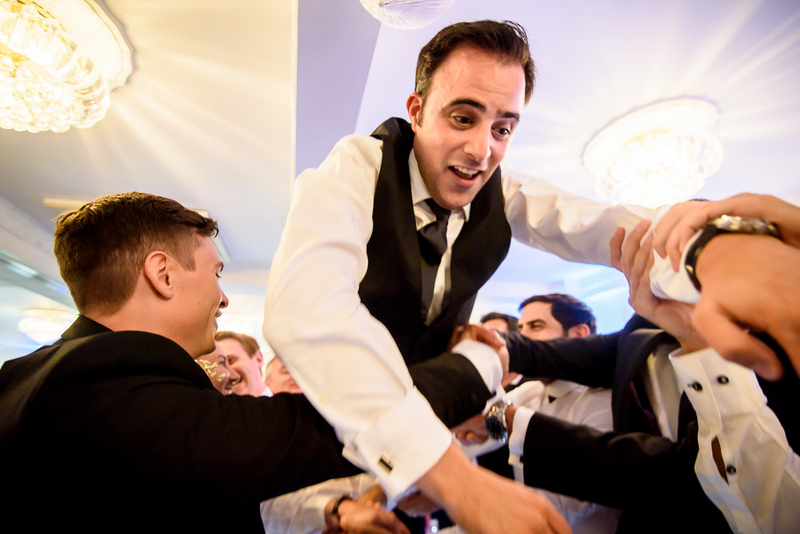 Many of my photographer friends tell me just how amazing Jewish weddings are, but nothing could have prepared me for just how much fun Jay and Adam’s wedding was. 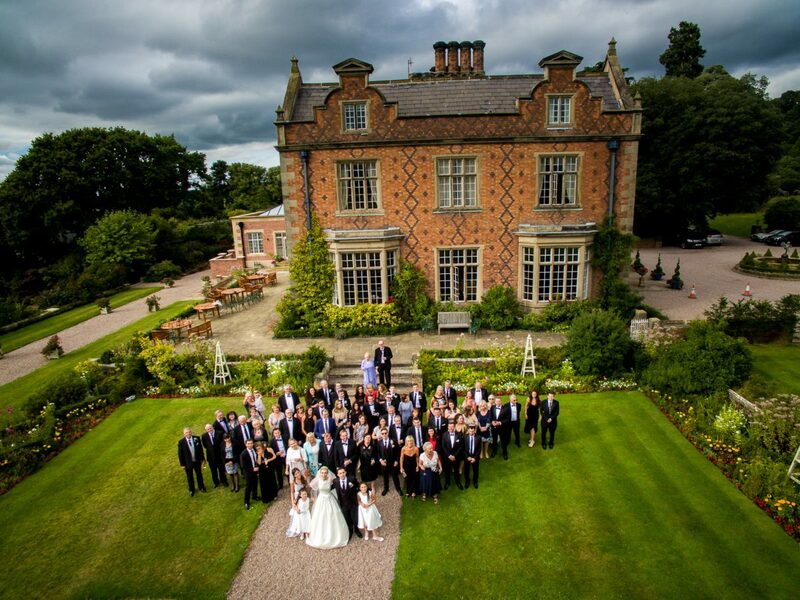 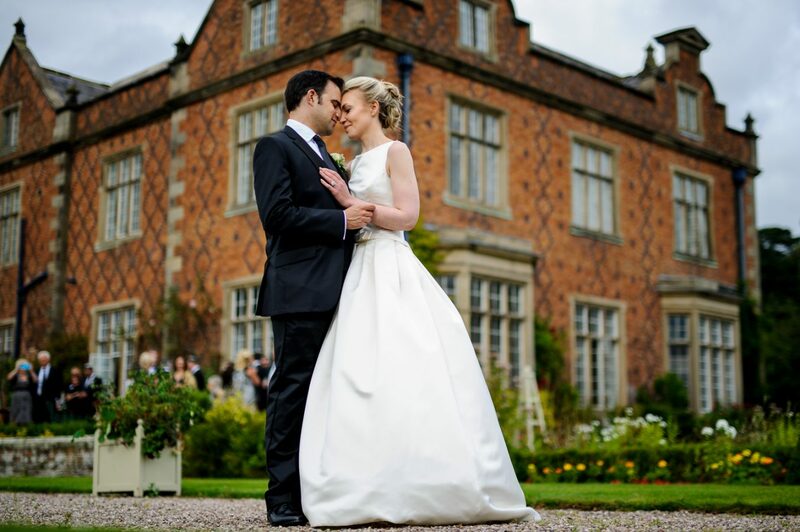 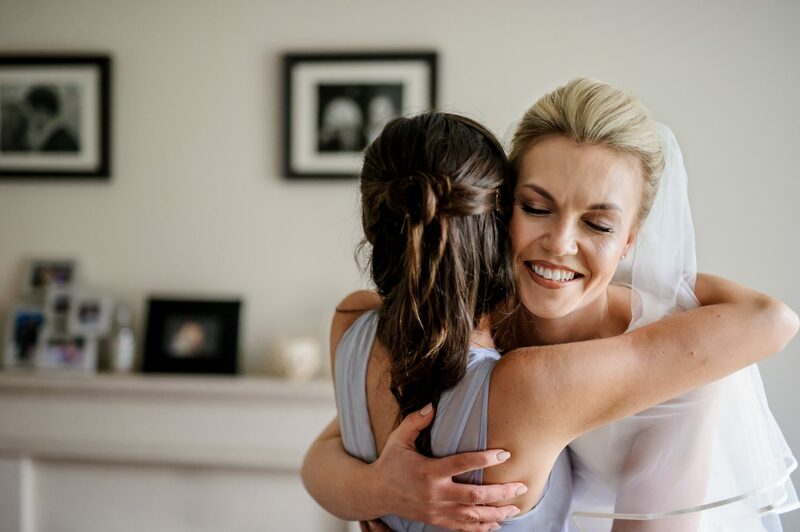 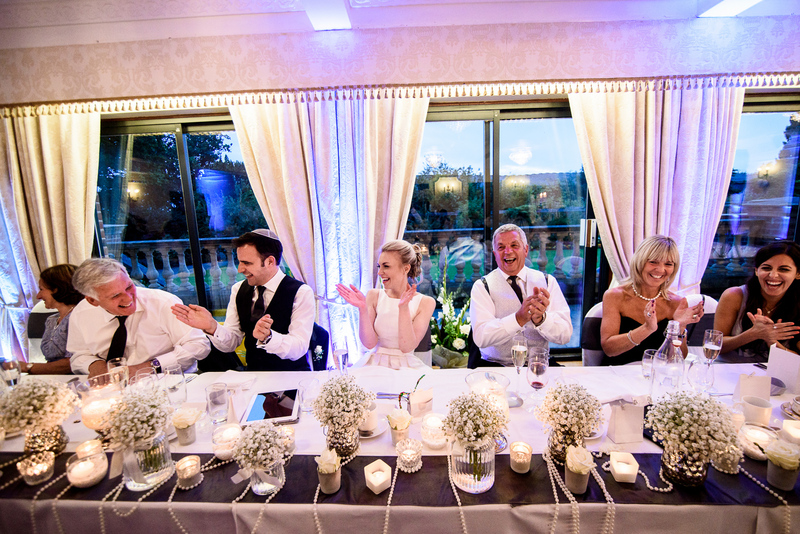 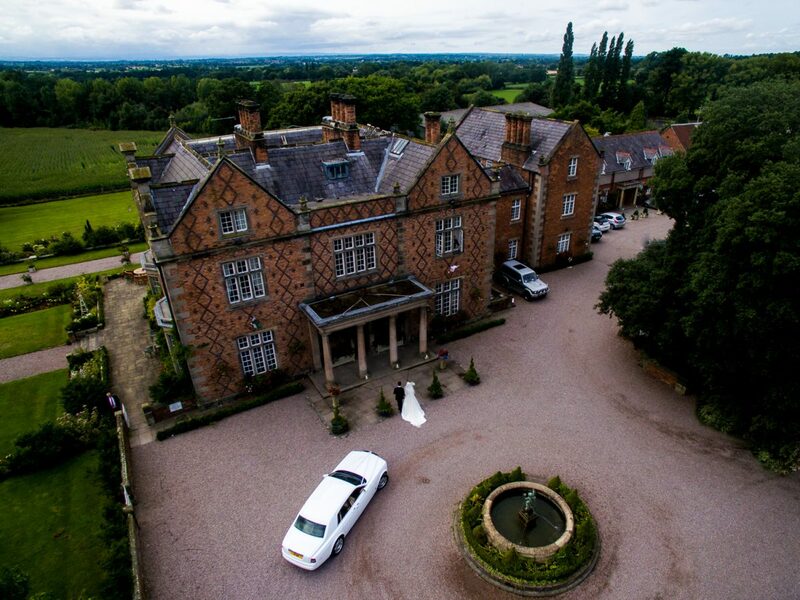 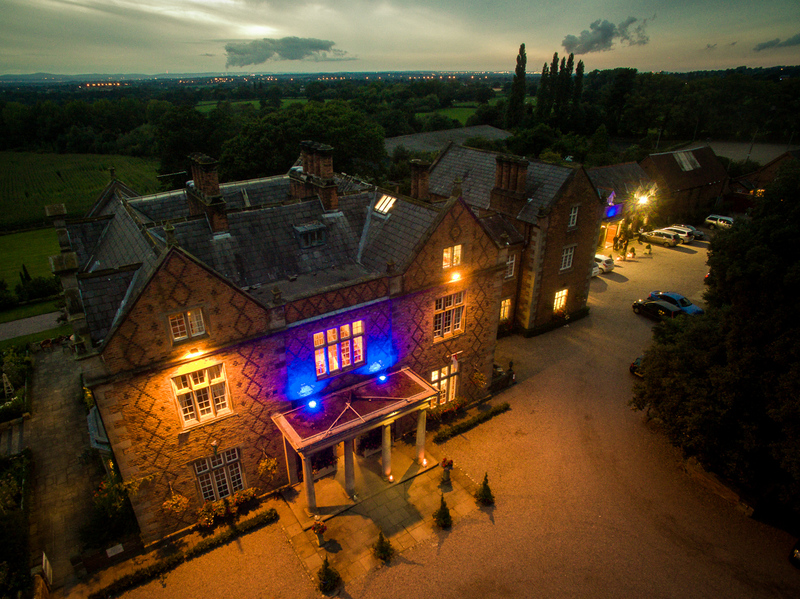 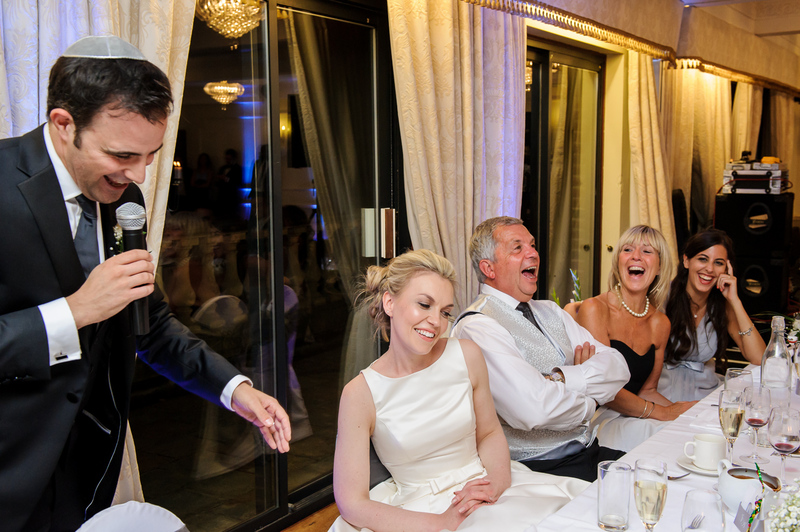 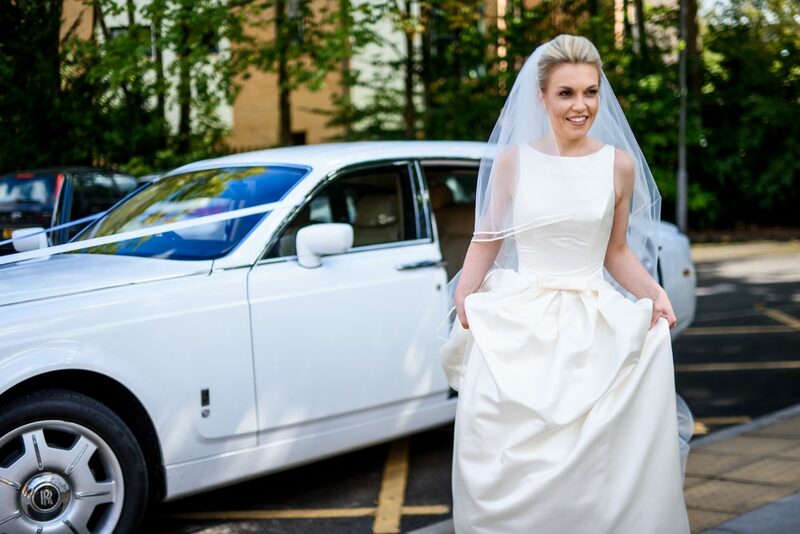 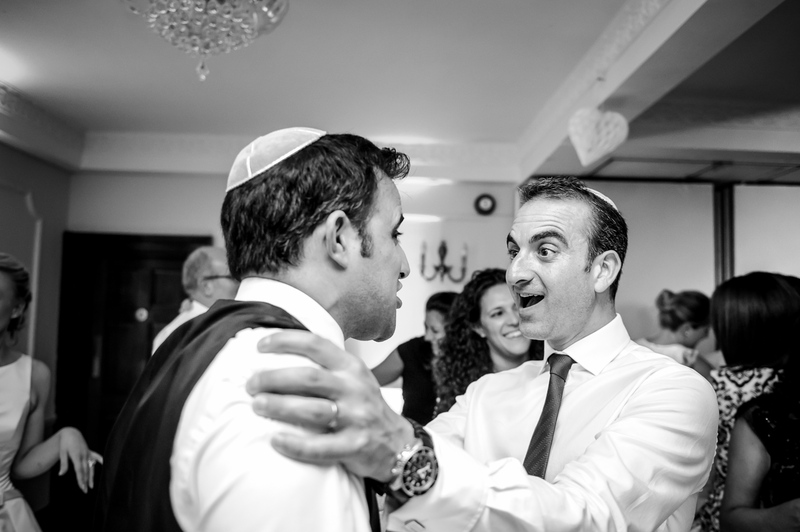 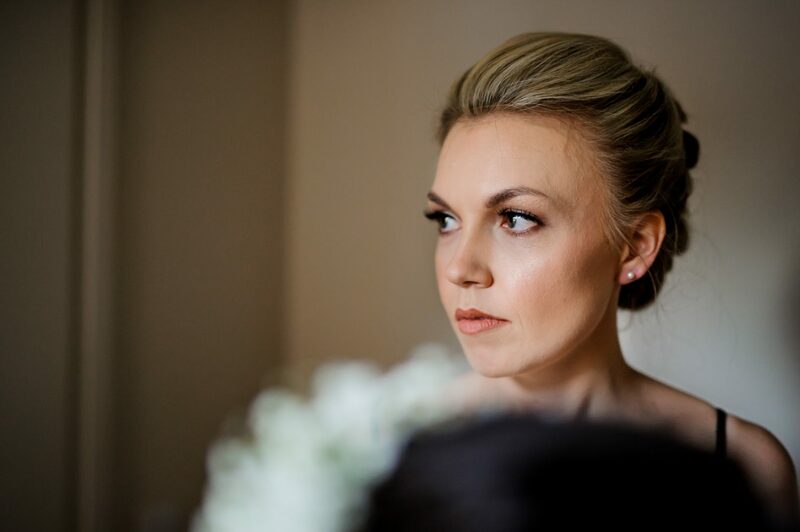 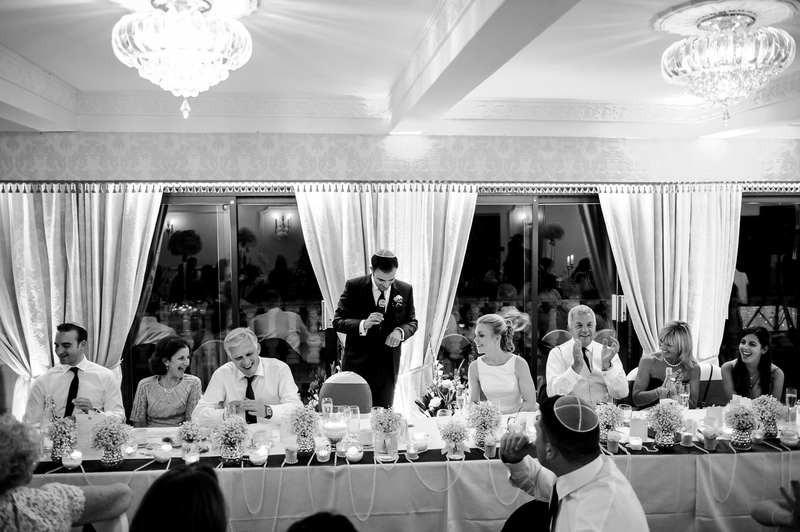 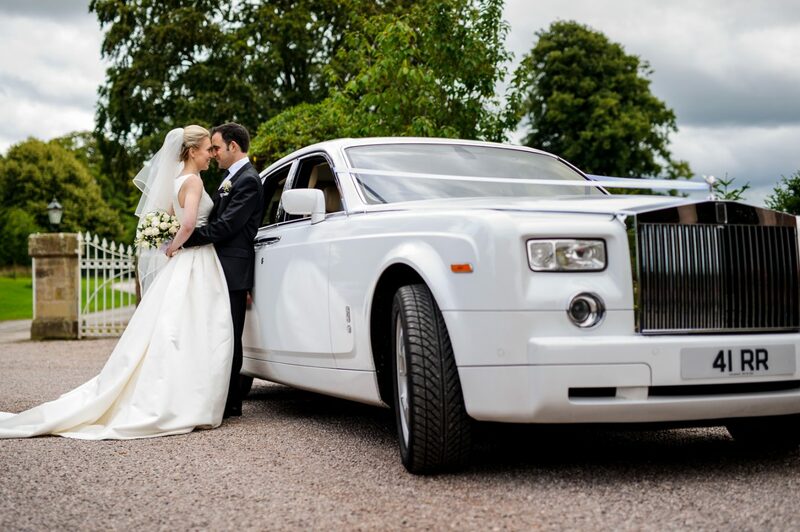 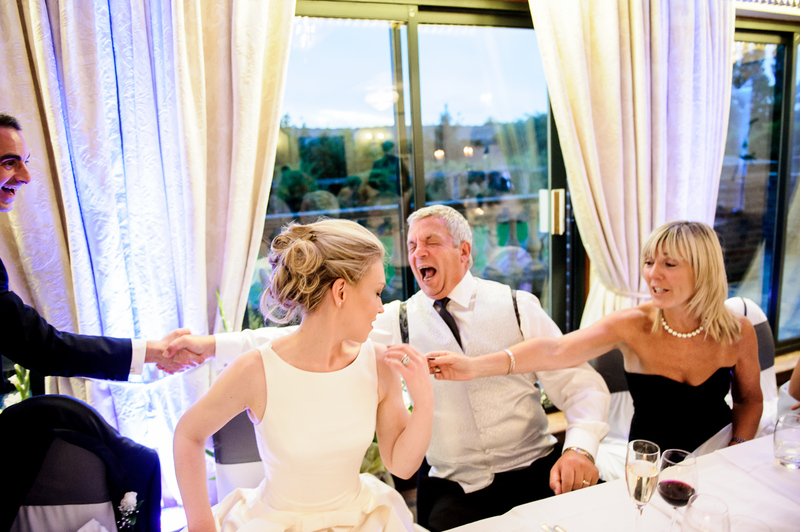 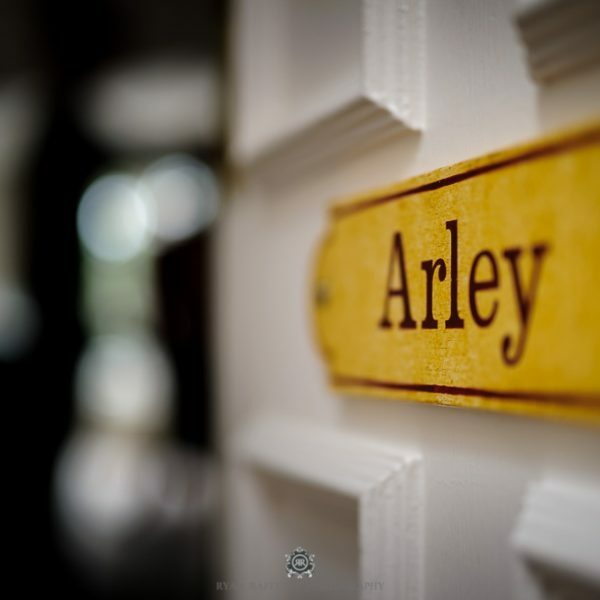 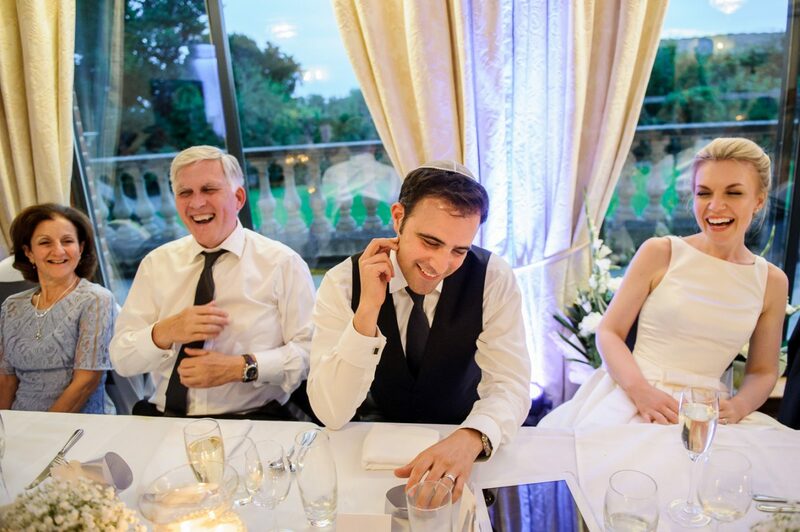 This was my first ever Jewish wedding, which took place at Menorah Synagogue on Altrincham Road, then finished at the lovely Willington Hall in Tarporley. 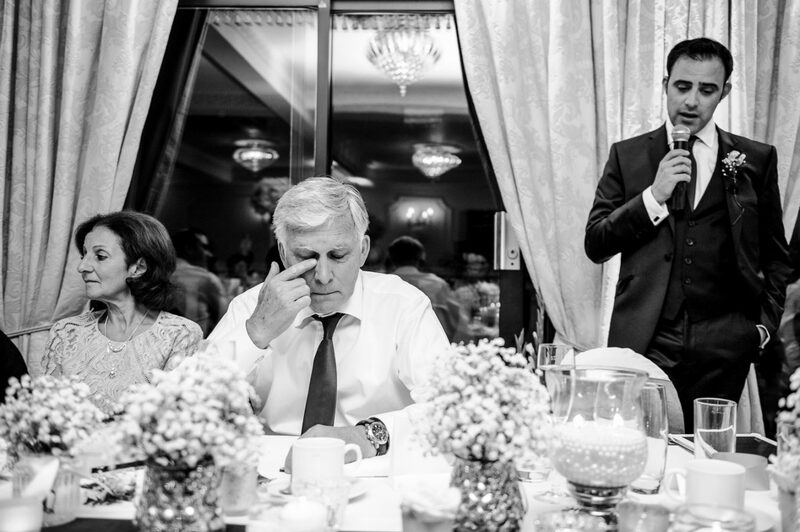 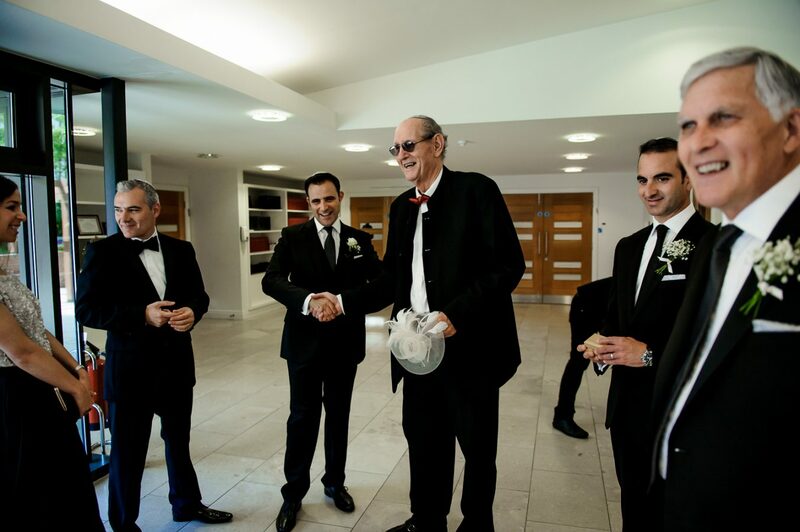 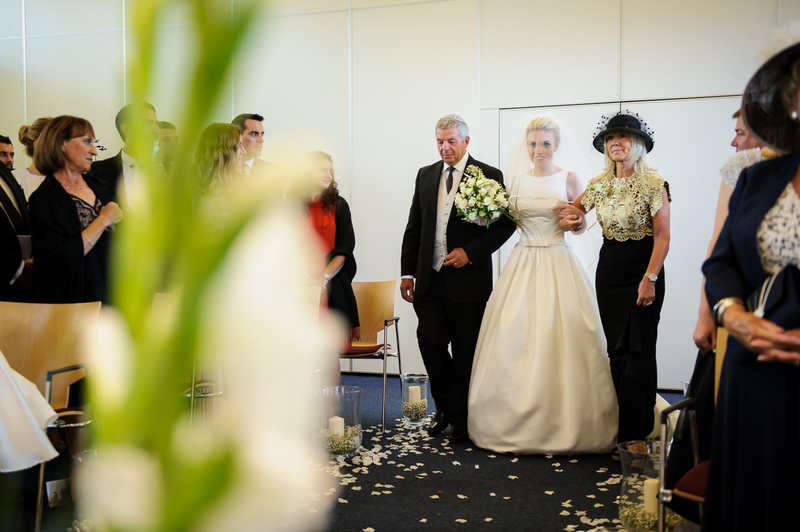 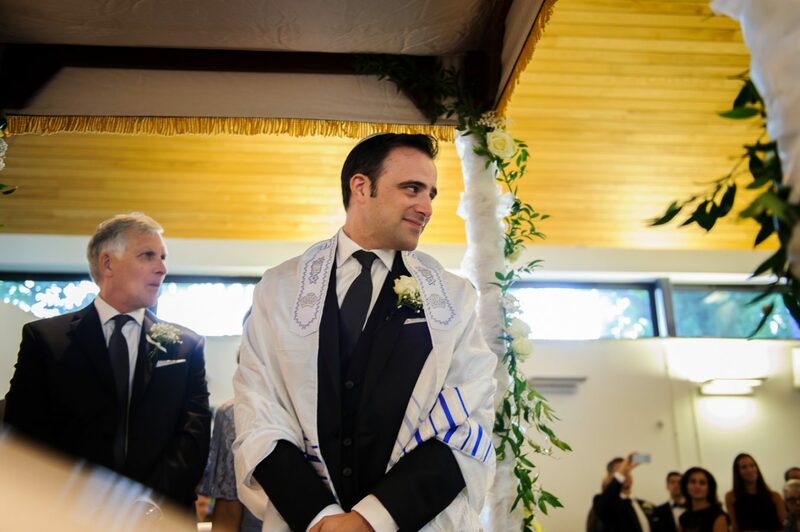 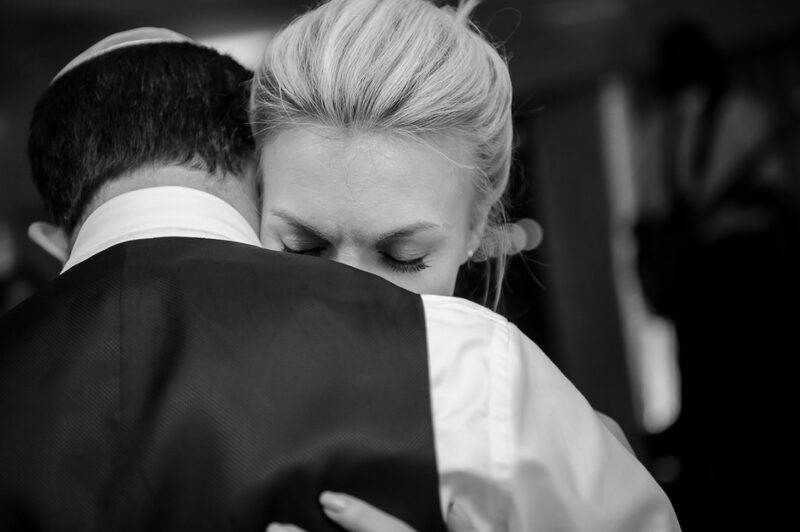 The ceremony was stunning – the father of the bride led Jay down the aisle to the chuppah where Adam awaited with the rabbi. 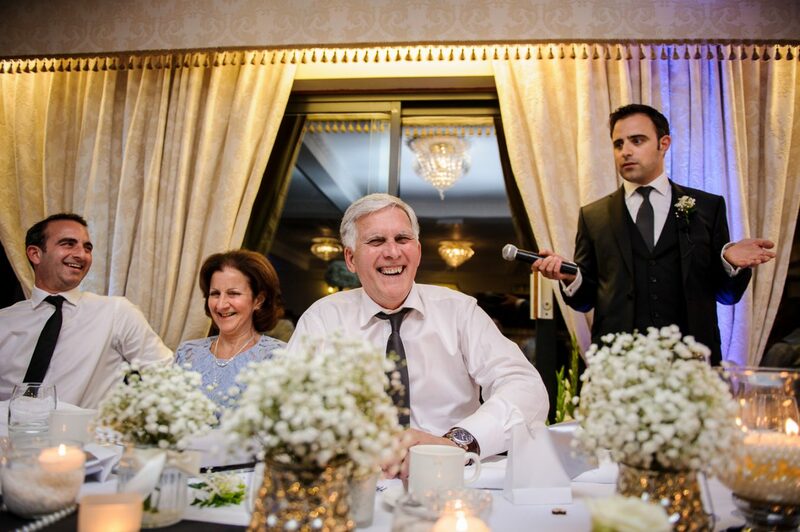 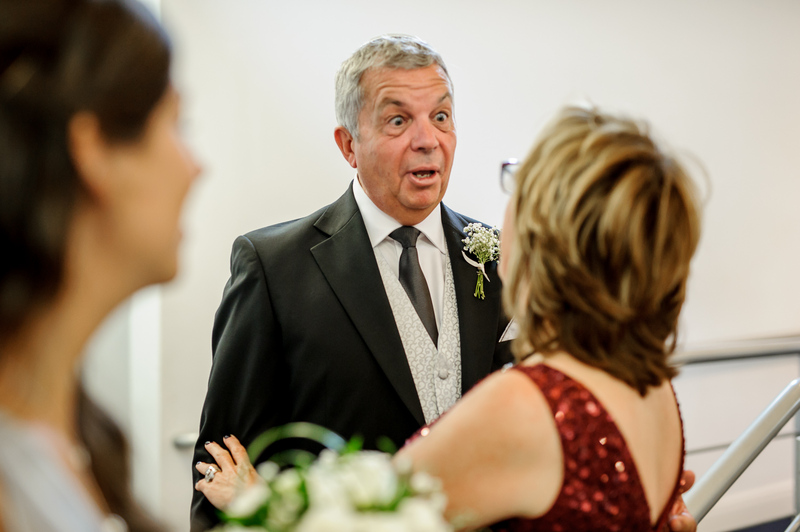 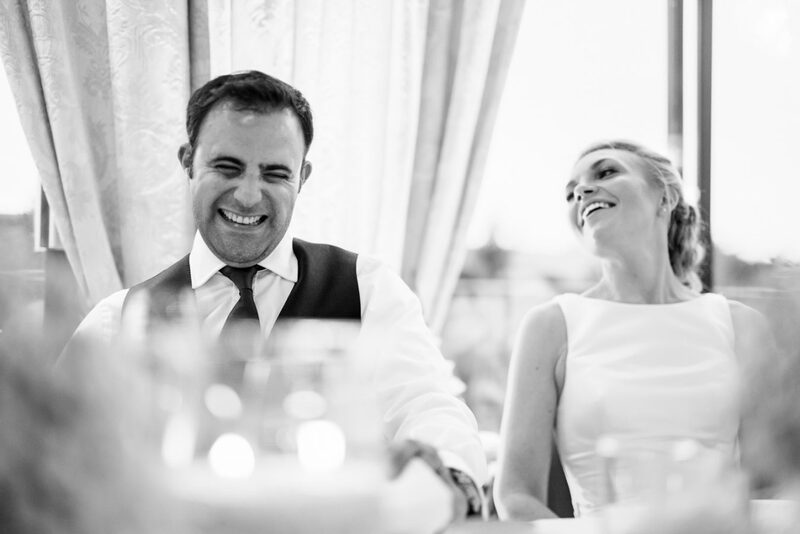 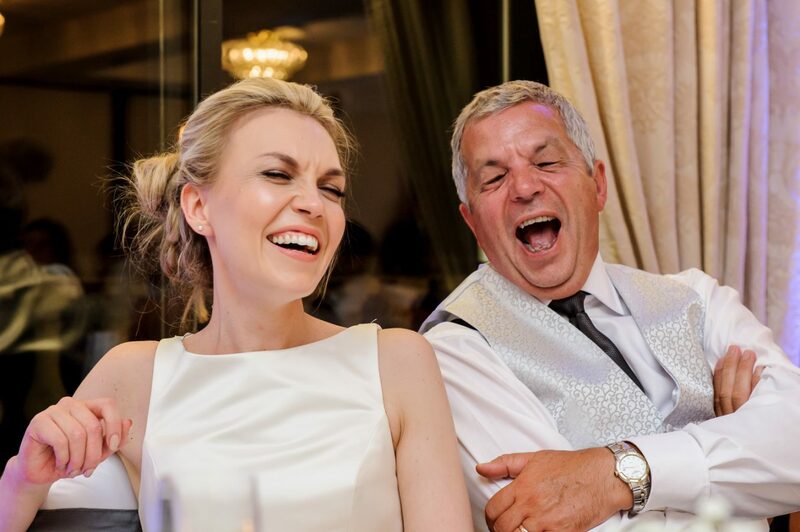 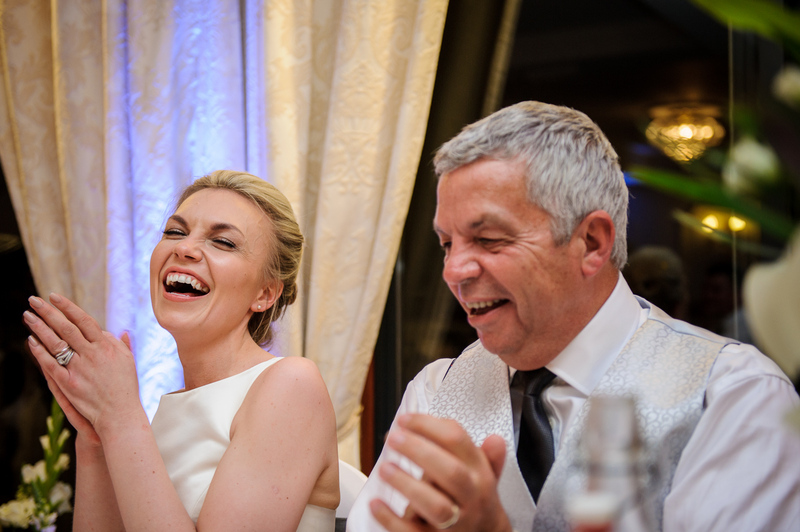 When he saw his lovely bride, he couldn’t keep the smile off his face. 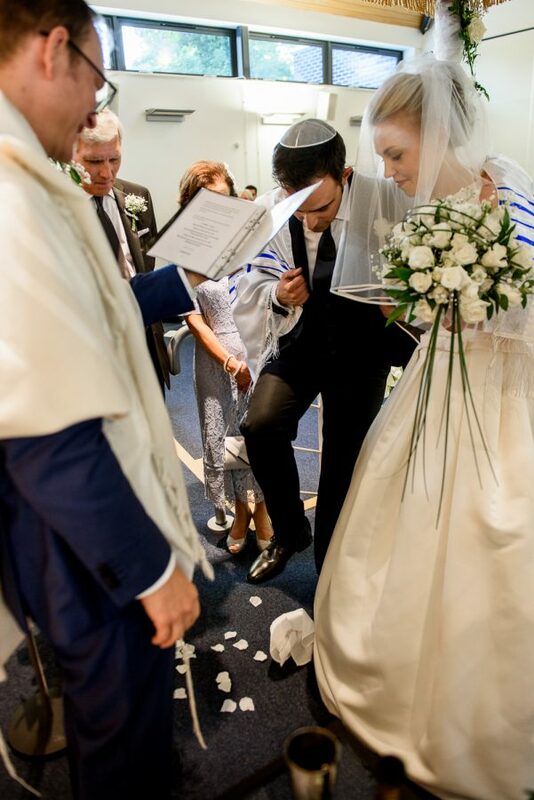 Following the ceremony, friends and family gathered outside the synagogue for the confetti shot in the blazing sunshine. 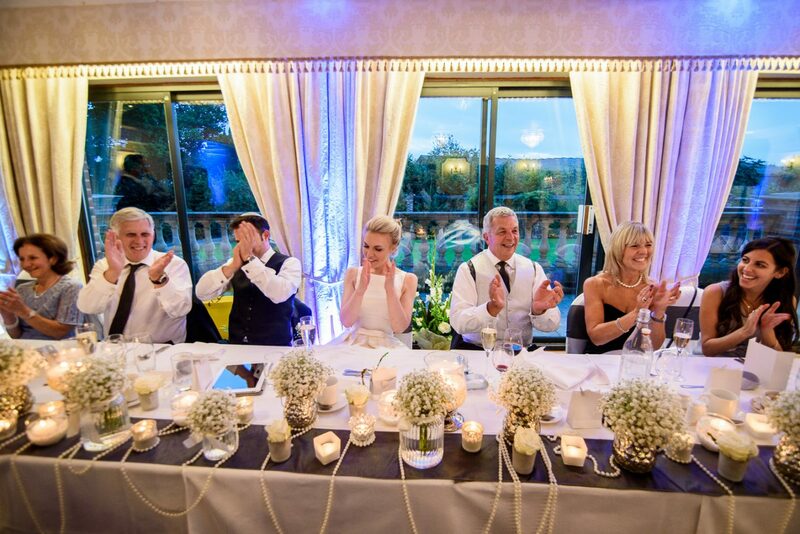 Everyone was so happy for them. 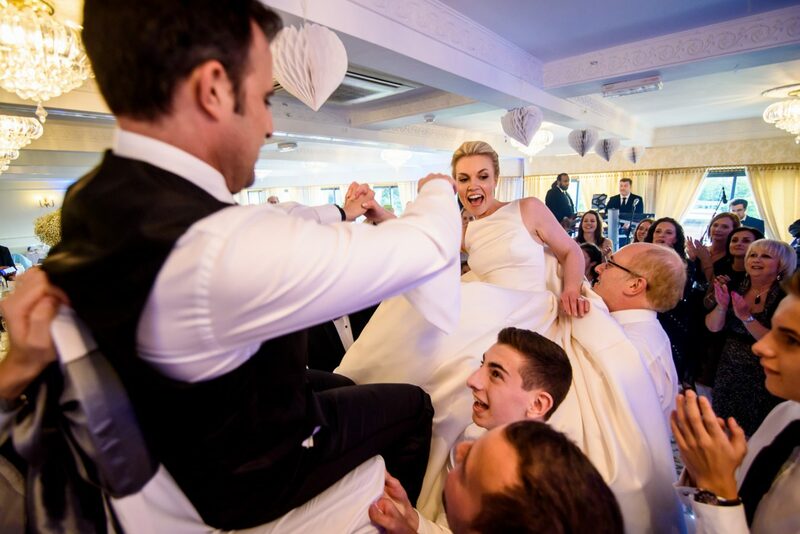 I can’t begin to describe the antics that took place during the hora, or chair dance. 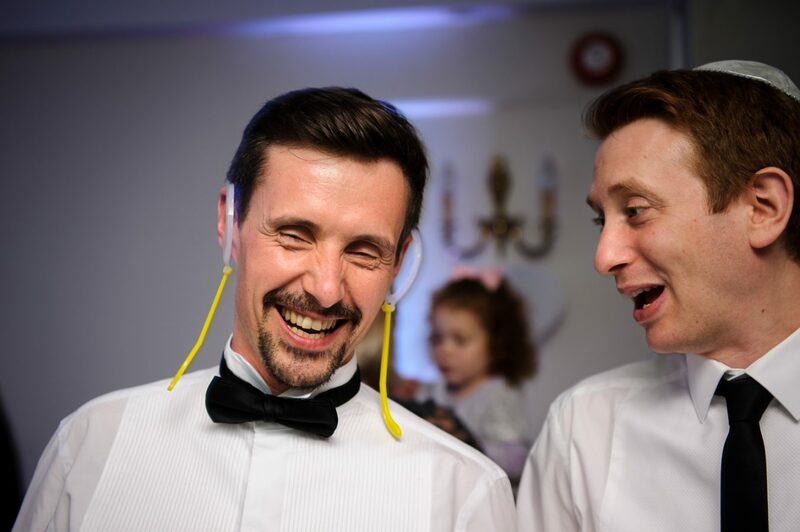 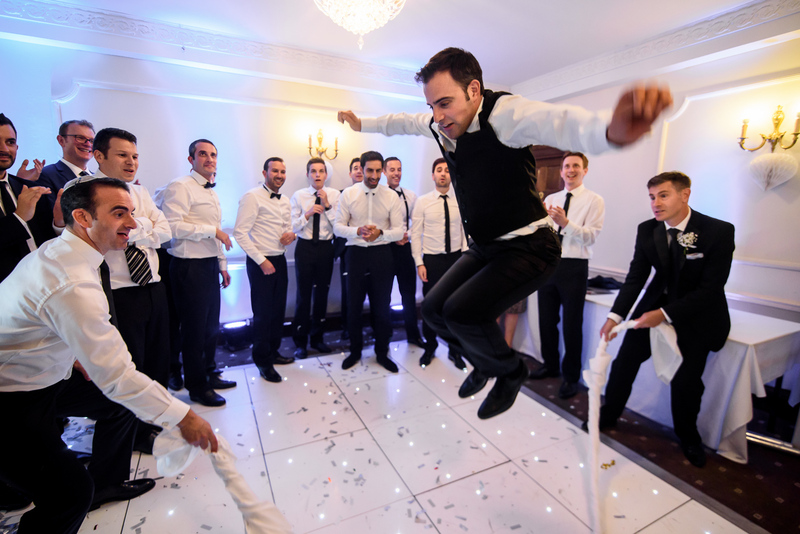 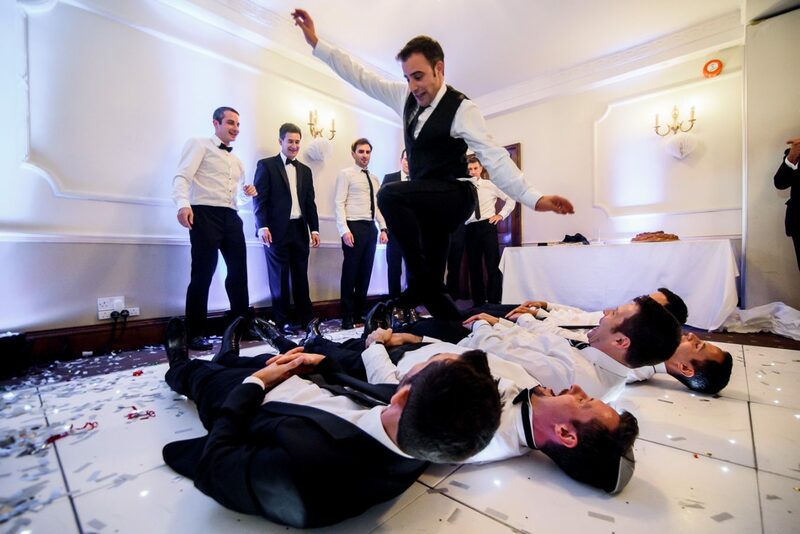 Jay and Adam, after being welcomed by a human tunnel with sparklers and confetti cannons, were hoisted up on chairs, well above head height, and I held my breath as a few close calls nearly sent the couple tumbling back down to floor level! 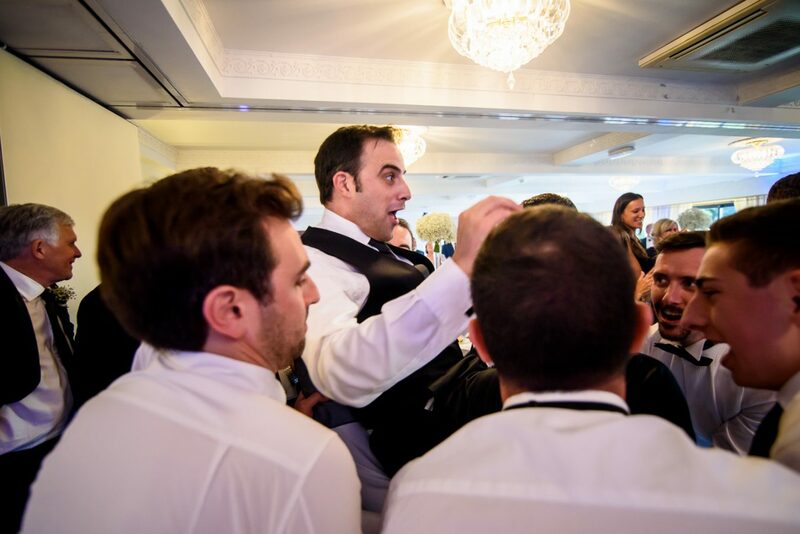 The next thing I know I was taking photographs of the newlyweds skipping over a very large table cloth being swung by the best man and ushers! 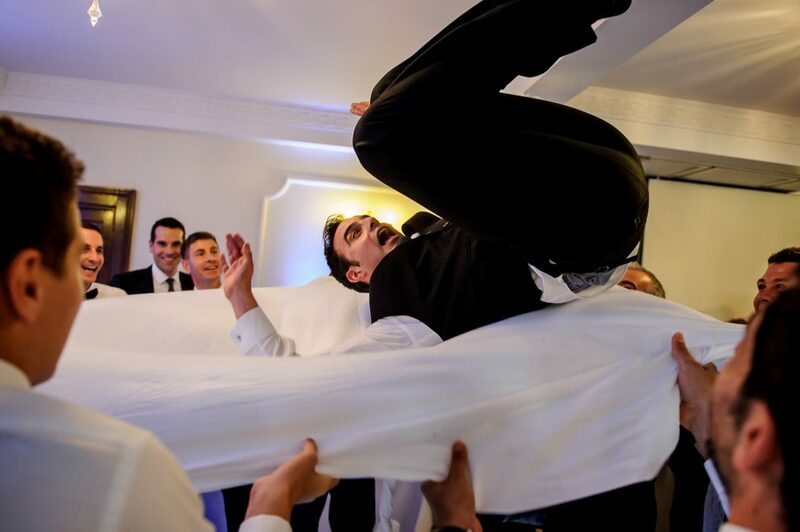 The same tablecloth was then unwrapped and used to toss the groom high into the air – health and safety was of no concern here! 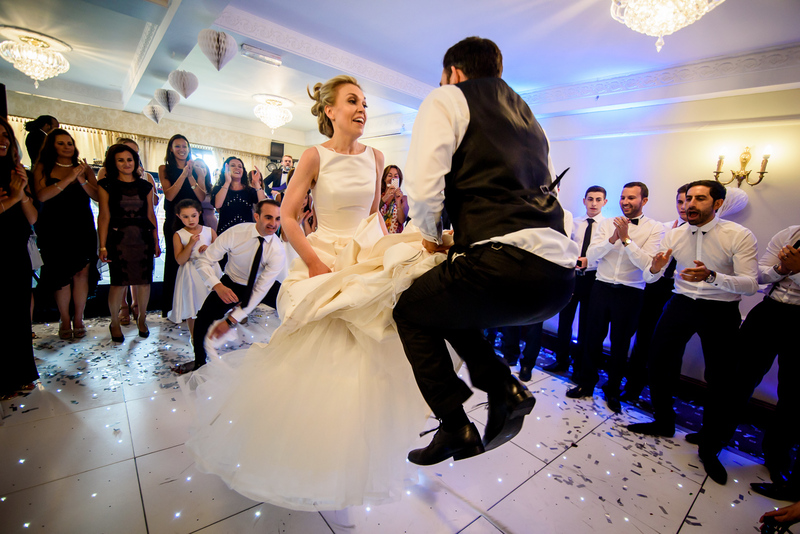 With the speeches and the first dance over it was time for me to go, but I couldn’t help but stay for a few more photographs, as the guests knew how to party. 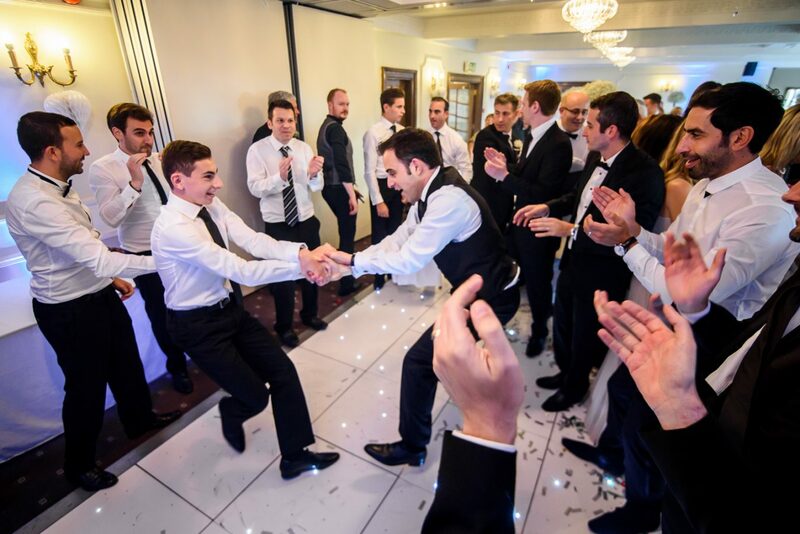 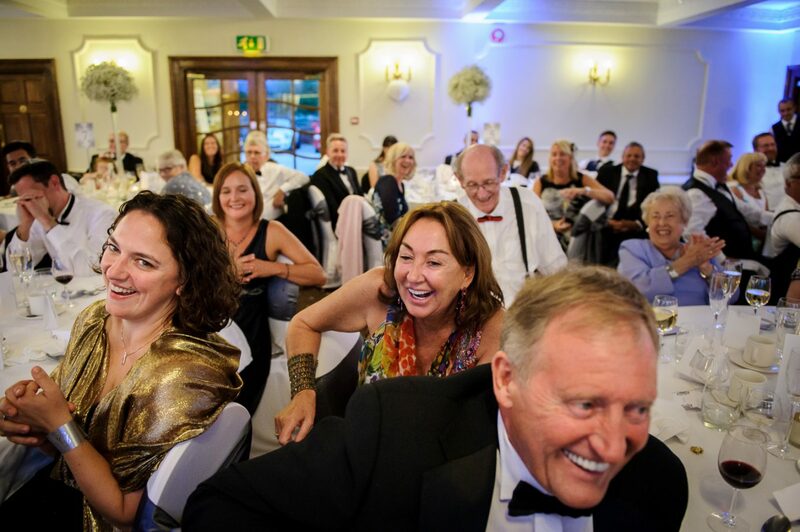 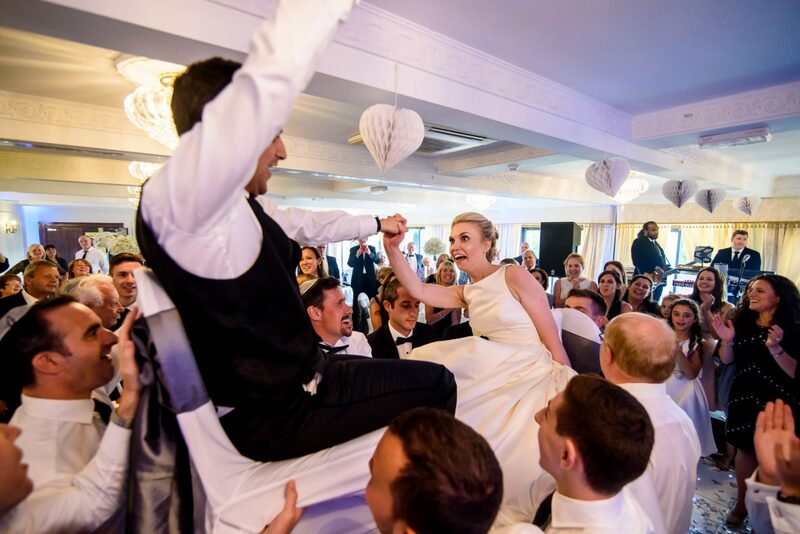 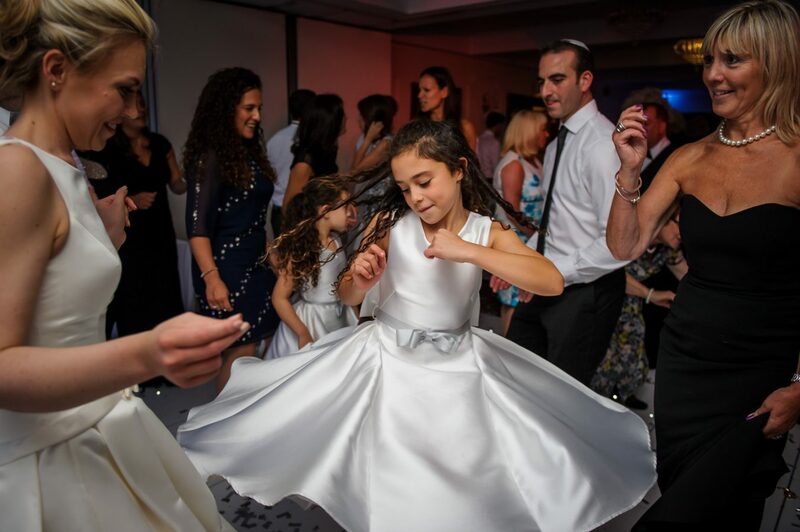 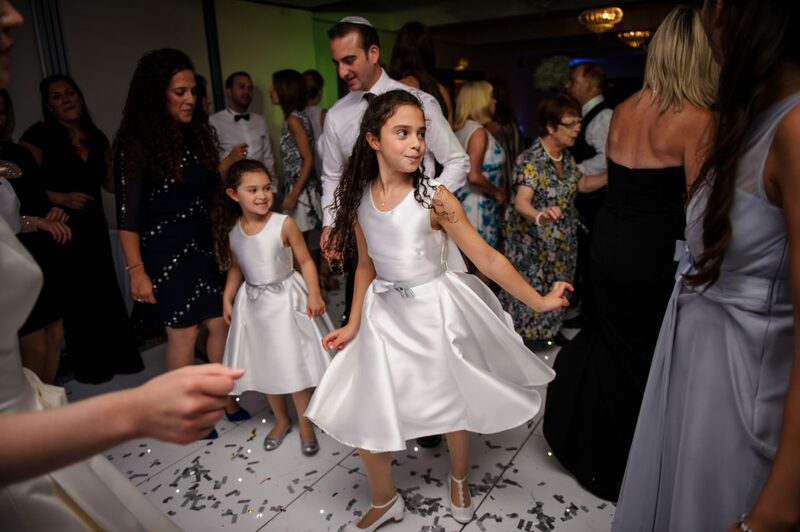 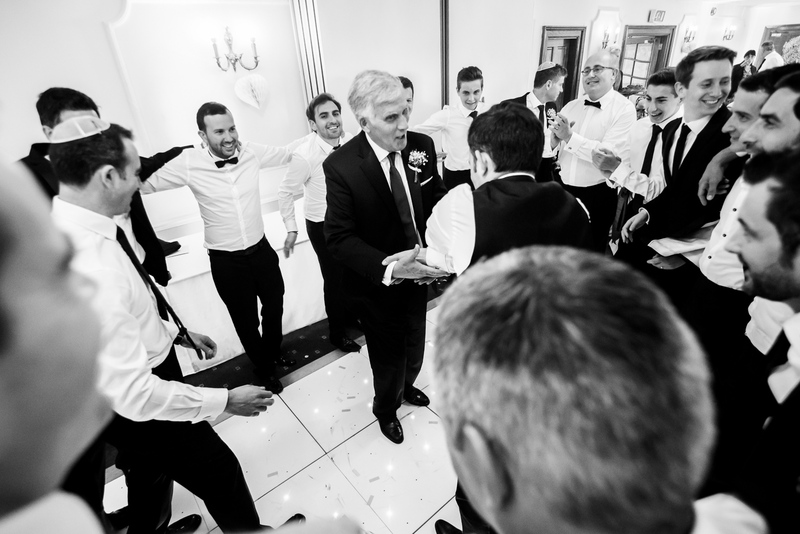 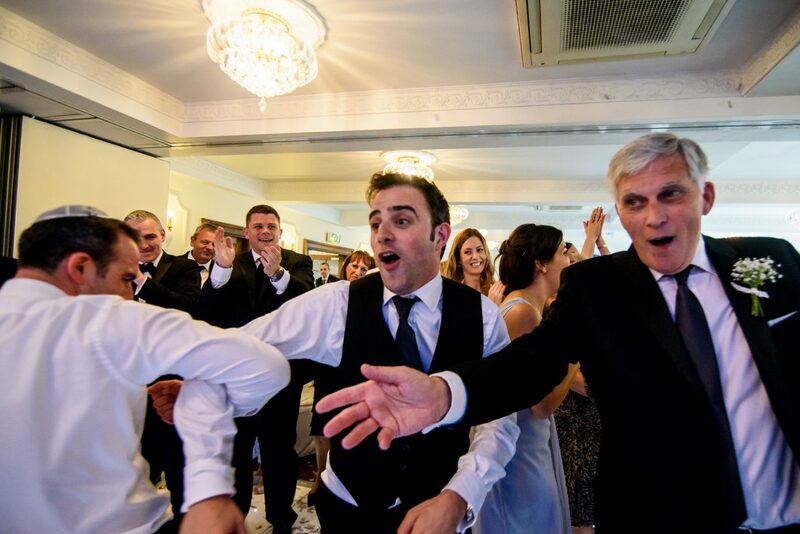 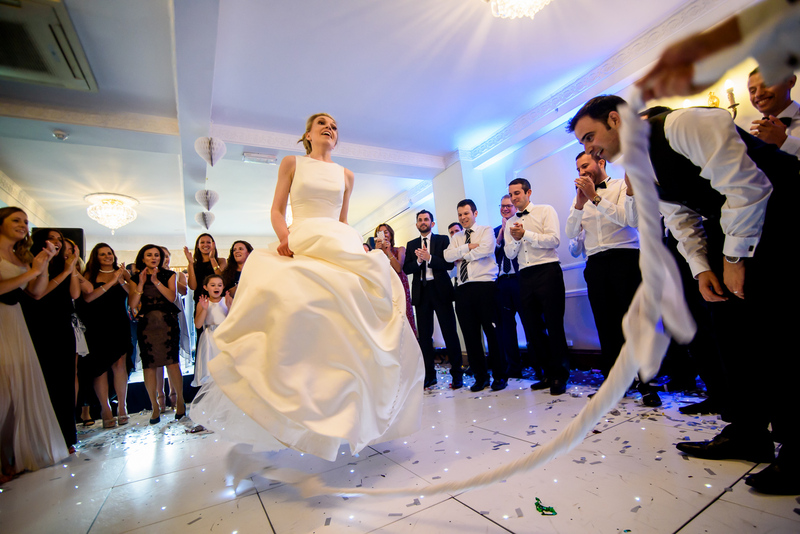 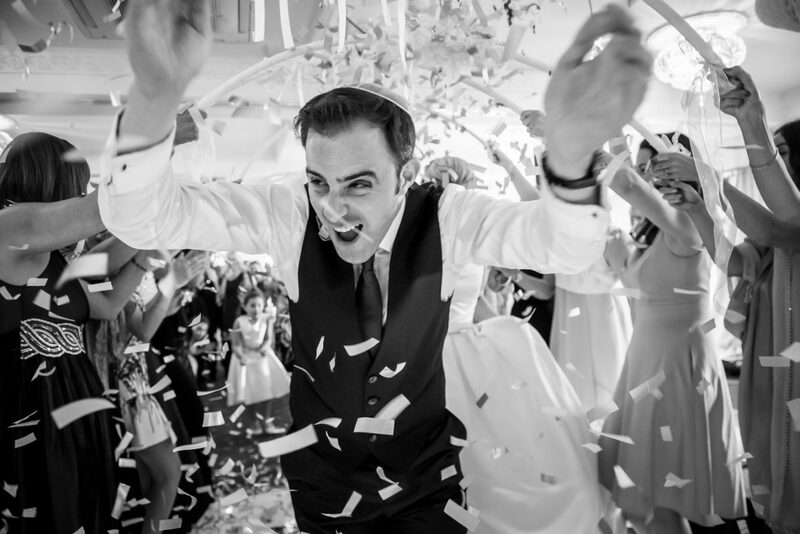 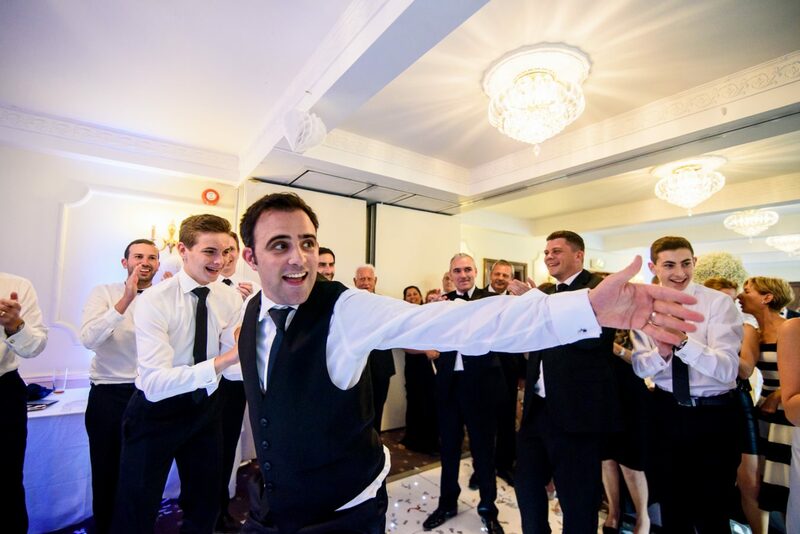 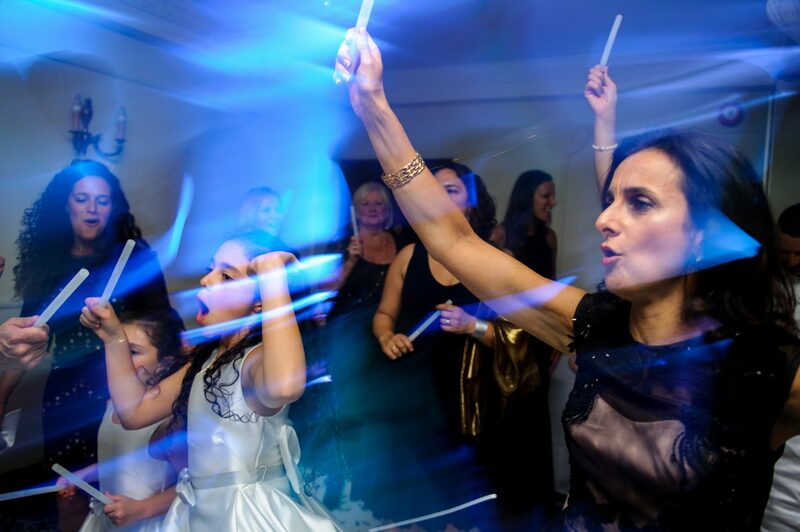 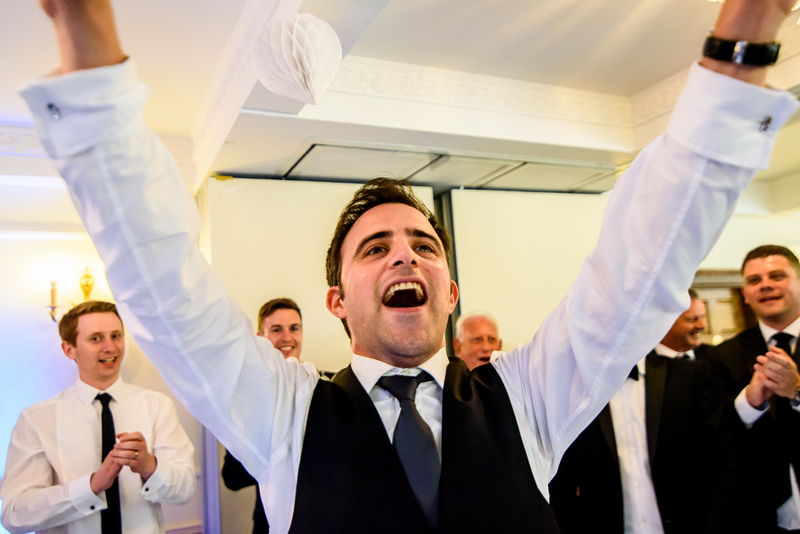 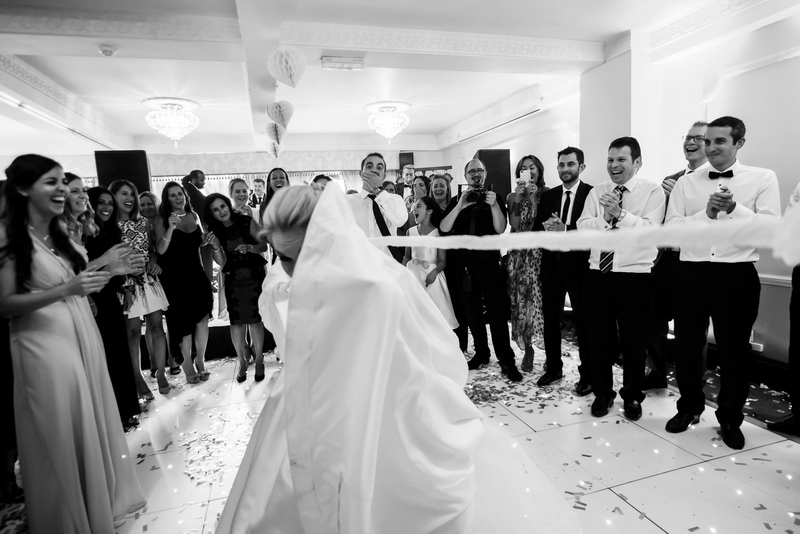 I found myself feeling very jealous of any Jewish wedding photographer in Manchester, or anywhere else, who gets to experience this kind of celebration every week! 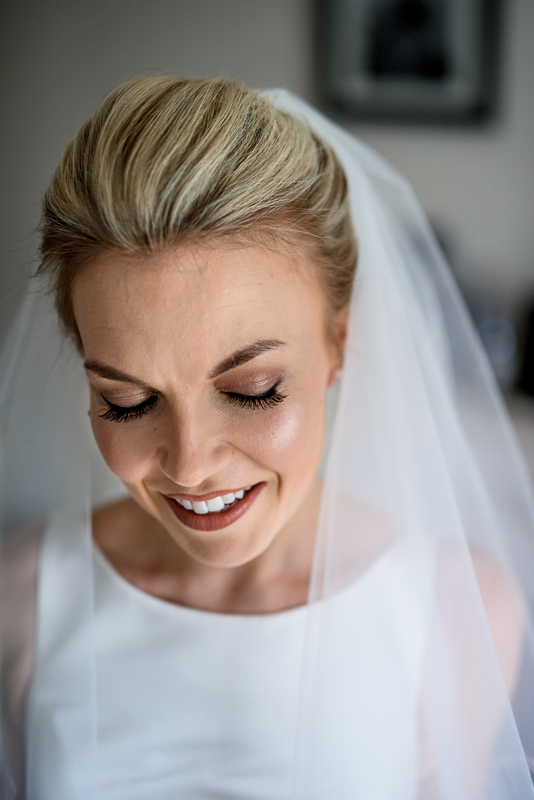 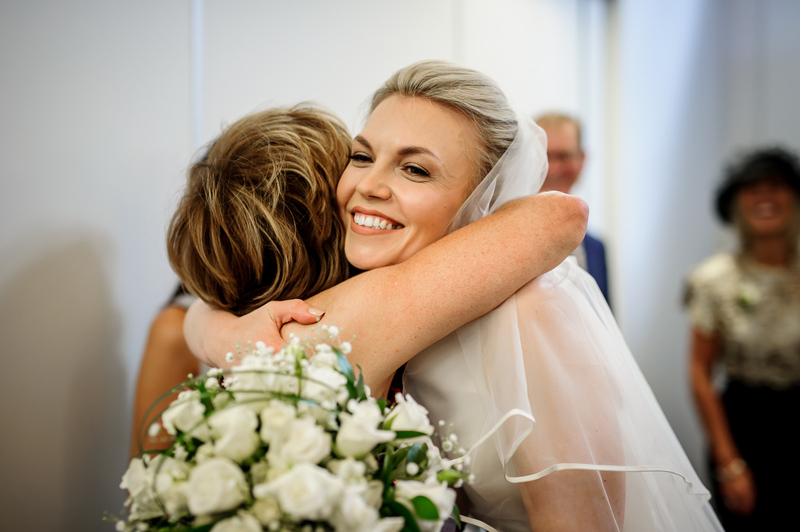 The wedding photographs below are just a sample of the 400+ photos I took during the day and they are all of people – not fancy wedding flowers, cars or table dressings. 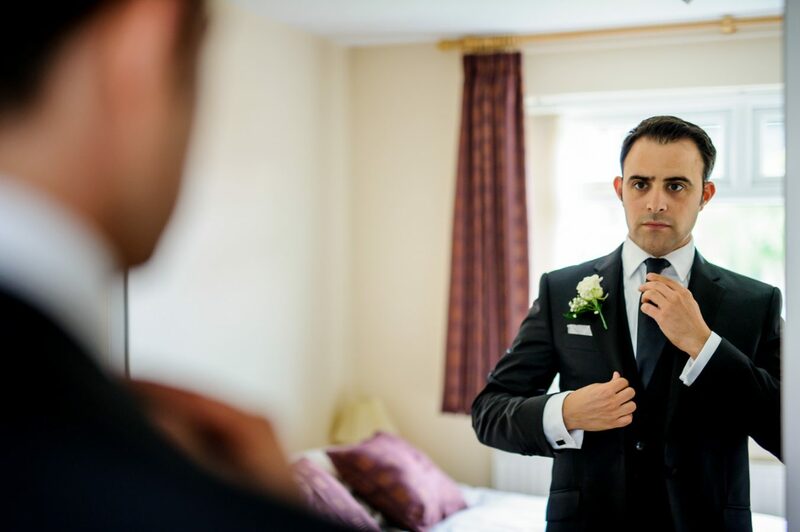 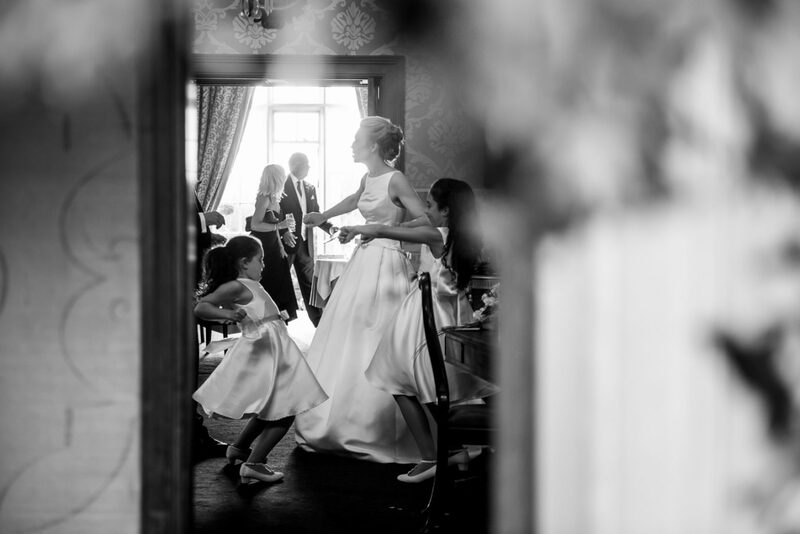 Hopefully you will see my style of photography coming through from these images – always natural, candid moments. 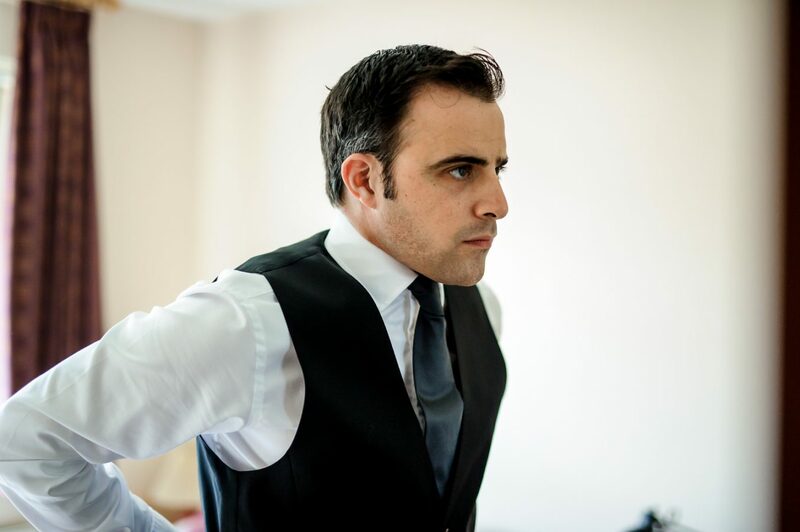 Nothing posed, because posing is boring.